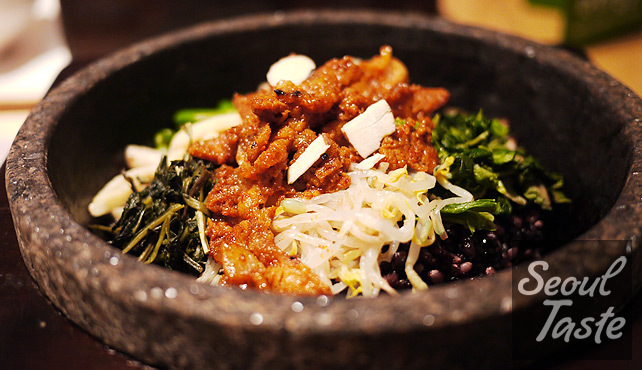 For a fast, fresh, and even healthy lunch, try this bibimbap served in a hot stone bowl. While the dish itself may be familiar to many, the bibigo experience is worth a try. Traditionally known as “Birthday Soup” in Korea, 미역국's blood-cleansing properties is also thought to be beneficial for new mothers. 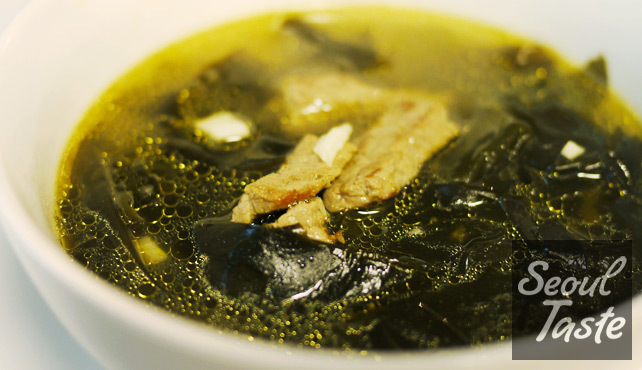 Seaweed soup is a must on birthdays, but it's also a healthy and delicious meal any time of the year. Tweet Like our site? Please tell your friends! Annie is always on the lookout for new tastes, as well as faithful examples of traditional dishes. An accomplished home cook, she recreates hard-to-find American, Asian and European dishes, and creates new fusion dishes of her own. Through this web site, she hopes to bring world cuisine to Korea, and Korean cuisine to the world. With all the great eats in Korea, Aaron would be 300 lbs by now (er, 136kg) if Seoul had any fewer stairs. His only disappointments are the dearth of craft beer and proper baked goods. The craft beer scene is improving, but on the baking front, he is actively working to recreate the cookies, breads and other treats he misses. His efforts will be shared here. Travelers: Check out Aaron's book, the Seoul Survival Guide! A steal at $4.74. In Seoul, with dozens, sometimes hundreds of restaurants lining each street, how do you choose? We‘re here to help! Every week, out of the hundreds of restaurants we‘ve tried, we present one of our favorites. Sometimes, though, there are still some cravings we can‘t satisfy. In those cases, we roll up our sleeves and do our best to recreate the dish in our own kitchen. Craving something yourself? Let us know! We‘ll track it down. If we can‘t find a faithful representation of the dish, we‘ll get to work in our test kitchen. We receive no compensation of any kind for our reviews. We post positive reviews only; we are not food critics, but guides in your quest to find great food. Seoul Taste is produced by Bigger Bird Korea (비거버드 코리아), the Korean affiliate of Bigger Bird Creative, Inc. Copyright © 2011–2019 Bigger Bird Korea (비거버드 코리아). All rights reserved.